Nigeria operates a federal system of government. In it, power is shared among the three tiers of government, namely, federal, states and the local government areas. The constitution also provides for the roles of each of the federating States. In the second schedule of the 1999 constitution, the federal government handles matter under the exclusive legislative list, share roles with the federating States in concurrent list while States take care of matters under the residual list. The question on the lips of stakeholders is: does the National Assembly now have the power to legislate on a matter that is under the residual list? The Supreme Court in suit number SC. 340/2010 between the Attorney General of the Federation and Minister of Justice and Attorney General of Lagos and Commissioner for Justice had declared that the Federal Government lacks the Constitutional powers to make laws outside its legislative competence, which are by implication residual matters meant for the State Assembly. The apex court says the National Assembly cannot, in the exercise of its powers to enact laws, take the liberty to confer power or authority on the Federal Government or any of its agencies to engage in matters, which ordinarily ought to be the responsibility of State Government or its agencies. The apex court, following the conflict between the federal government and Lagos state over registration of hotels and tourism, evinced the argument about legality of such action. By virtue of the Nigerian Tourism Development Corporation Act 1992, the Nigerian Tourism Development Corporation (NTDC) whose functions were to register, classify, grade and regulate all Hotels, Motels, Hospitality and tourism enterprises, and tour operators was created. But in 2003, the Lagos State Government passed into law the Hotel Licencing Law Cap H6 Laws of Lagos State of Nigeria 2003, which conflicted with the mandate of the Nigerian Tourism Development Corporation Act. In 2009, the Lagos State Government published a public notice that registration of hotels and tourism related establishments in Lagos State was the exclusive responsibility of the Lagos State Ministry of Tourism and Intergovernmental relations.The law was subsequently amended by the Hotel Licencing (Amendment) Law, the Lagos State of Nigeria Official Gazette dated 20th July 2010. Based on the foregoing, NTDC issued a public notice advising all operators of hotels, and companies alike to disregard the earlier notice issued by the Lagos State Government.In this regard, the AGF on behalf of the Federal Government commenced an action at the Supreme Court against Lagos AG, by way of originating summons challenging the validity of the laws enacted by the House of Assembly of Lagos State. 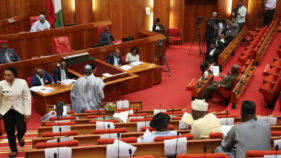 However, the Supreme Court ruled in favour of Lagos and held that the Law promulgated by Lagos State was not among items in the Exclusive and Concurrent lists but was rather among residual matters for the State.Interestingly, a bill is now pending before the National Assembly called the Nigeria Tourism Development Authority (NTDA) ACT CAP N137LFN, 2004 9 (Repeal and Enactment) Bill, 2017 (SB.429). The Bill has gone through public hearing and is allegedly being pushed by NTDC. Stakeholders and lawyers said the move is inappropriate. The executive secretary, Nigerian Hotel and catering Institute (NHCI), Victor Kayode said the bill if enacted into law is vexatious and un-implementable. According to him, the proposed bill seeks to establish a new organization, which is beyond NTDC mandate as a government agency. Only the parent Ministry, he stated, could seek approval from the Executive council to establish a corporation within a corporation and seek legislative enactment. 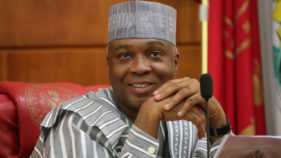 “It is also unclear, whether we are dealing with Tourism Development Corporation (NTC), Nigerian Tourism Development Corporation (NTDC) or Tourism Development Authority (NDA) as there are different documents speaking different things about the same bill,” he said, adding that Section 15c of the bill seeks to regulate hotels and tourism, which will be in direct conflict with the Supreme Court judgment if passed. His words: “Section 16c is also beyond NTDC mandate as the Corporation is not expected to go into consultancy directly except research but encourage Practitioners in the industry for consulting. “It is in direct competition with individuals and companies in the private sector that the Corporation should set out to protect. In any case, how such consultancy will be carried out is not clear. “Further down, Section 18 sets out to establish a commercial company. This is certainly not within the Mandate of the corporation and cannot be so as they can only organise the private sector providers involved in this trade for the purpose, which the proposed company wishes to accomplish. Establishing a company within a corporation is alien to the Laws of Nigeria and should be deleted.” He stressed that various sections of the proposed bill are defective, ambiguous, controversial and poorly crafted. Also, Lagos based lawyer, Folabi Kuti stated that the matter is expressly designated under the residual list. According to him, the Constitution will first have to be amended to list the subject matter under either the exclusive legislative list or the concurrent list before such amendment could happen. “Recall that the legislative lists in the Constitution provide for the distribution of powers: the exclusive legislative list is assigned to the federal government; the concurrent legislative list is assigned to both federal and state governments and defines areas in which both can legislate; and the residual legislative list is assigned to the states. The exclusive legislative list has 68 items, while the concurrent legislative list has 12,” he pointed out. For Dr Abiodun Layonu (SAN), if the Supreme Court has already interpreted the constitution to say that it is a residual matter, it will be unconstitutional for the national assembly to go and legislate on such matters. He wondered whether legal advisers to the lawmakers did not call the attention of the legislators to the decision of the apex court. 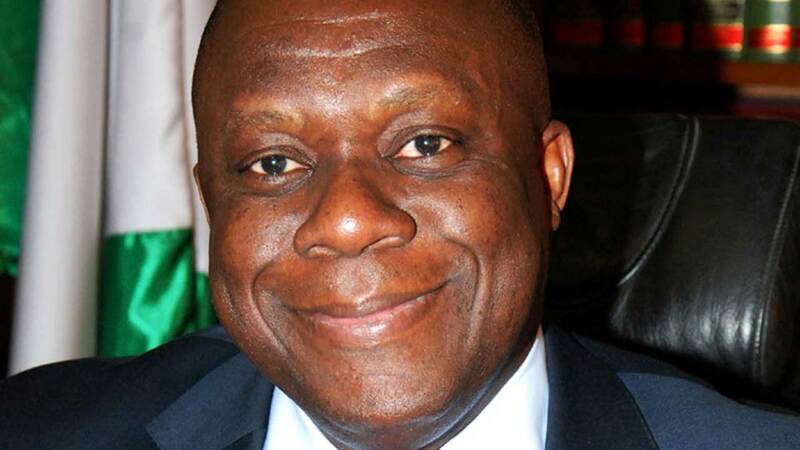 The 2nd vice president of the Nigeria Bar Association (NBA), Monday Ubani said while the legislative arm of government can pass a law either nullifying or amending a judgment of a competent Court of jurisdiction including the apex Court, the process of such amendment or nullification must be in accordance with the law of the land. “For this particular case in hand, the Supreme Court in the earlier case between the Federal Government and the Lagos State Government upheld the Law of Lagos State against the Act of the National Assembly based on the fact that the Lagos State Government had the vires to enact the said law. “In other words, the matter they legislated upon was within the legislative competence of the State Government. I am not sure that the situation in the 1999 Constitution has been altered. If that is the situation, then the exercise of the National Assembly presently in amending the said Act without amending the Constitution (the groundnorm) is an exercise in futility. “As long as the bill seeks to regulate Hotels and Tourism which are still items on the residual list, then the National Assembly are better advised to perish the idea of the proposed amendment,” he declared, suggesting that the State government should also challenge the action if the proposed bill is eventually passed and signed into law by the Federal Government. Former deputy director general of the Nigerian Law School, Prof. Ernest Ojukwu (SAN) said it would be unlawful for the National Assembly to proceed with such amendment, giving that the Supreme Court had declared that such is within the powers of the states to legislate. 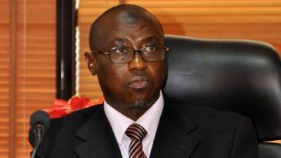 According to him, it is imminent that Lagos State would have to drag them to the apex court to resolve the issue.Abuja based lawyer, Abubakar Sani is also of the view that such an amendment would be unconstitutional, to the extent that the apex court has held that hotels and restaurants are in the residual list of the Constitution. “Therefore, without amending the Constitution, it is difficult to see how such a law would be valid. However, it is safer to reserve judgment until the law is passed. 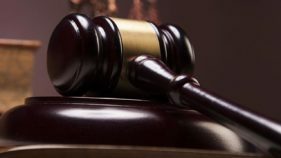 By that time, its precise provisions would be clear and possibly open to challenge in court,” he stated. For Dr. Solomon Ukhuegbe, also a lawyer, the issue is within the jurisdiction of the States. He however added that the action of the National Assembly would be within the law if the proposal is only limited to “regulation of tourist traffic” as provided in item 60(d) of the Exclusive Legislative List. “Otherwise, collection taxes other than tax on income, profit or capital gains is within the jurisdiction of states rather than the Federal Government,” he maintained. Already, the Senate Committee on Culture and Tourism under the leadership of Senator Mathew Urhoghide have had a public hearing on the bill August 17, 2017.Senator Urhoghide had argued at the hearing that the subject matter of the bill is under the legislative purview of the National Assembly; hence, the bill does not violate any existing law in Nigeria.Perhaps, the apex court may have to weigh in again in putting this controversy to rest, if the lawmakers choose to ignore its earlier decision.